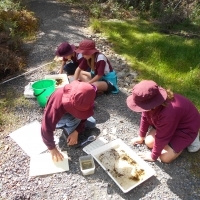 Bournda EEC can assist your students to conduct waterbug surveys at a waterway close to your school. 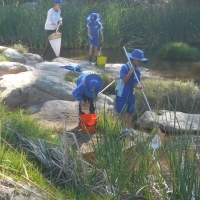 Students collect the waterbugs, identify and count them and enter the results online. Equipment is provided. There is NO cost for this program for public schools. Bournda EEC staff will be at your school prior to the departure time to meet with staff participating on the day. 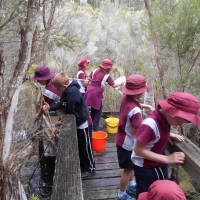 Have the students wear gumboots or old shoes at the waterway. Prior to the day, visit the new Waterwatch website to make yourself familiar. To make the exercise a valid collection of scientific data, it is important that the correct data sheet is used. Bournda EEC staff will supply this sheet. The survey is conducted at the same location as previously used by your school. If drought or other conditions make this impossible, it is important to choose a new sampling location as close as possible to the original location. Bookings are now open. Please use the contact form on this page.